The first event of Civil Service Live is only three weeks away. I always look forward to speaking to civil servants ‘on their own patch’ and hearing about - and seeing - some of the great and varied work they do. CS Live gives me this opportunity every year, but this time I’m particularly excited at the prospect. Civil Service Live will see us launch our vision of a brilliant, modern, inclusive and high-performing Civil Service. One that makes the best of its people, gives them the opportunity to develop and progress, whoever they are, and provides world-class public services. We won’t succeed without inspiring, confident and empowering leadership. But we also won’t succeed without you. We need your commitment, your ideas, your imagination and your talent. 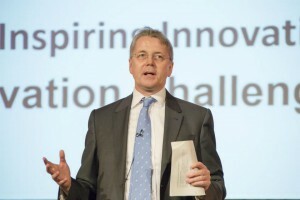 That’s why, this year, at the CS Live events in Glasgow, Coventry and London we are staging a special series of events entitled ‘Civil servants’ showcase - an audience with Sir Jeremy Heywood’. The first bit is the important part. These sessions are a vehicle for you to present your innovative work and ideas to me and an audience of civil servants. The sort of work that can help us realise our vision for a consistently effective and high-performing Civil Service. At each session, four teams or individuals will have eight minutes to give an overview of their work or idea before a two-minute question-and-answer session. The group judged to have given the best presentation at each event will then be invited to present to Permanent Secretaries at a later date, with a view to assessing how it could be put into place across the Civil Service. So, if you would like an opportunity to talk about an exciting piece of work you have been involved in, or to pitch how you think the Civil Service can improve, you will find the application form here. Applications will close at midnight on 8 June. Twelve successful applicants will be invited to attend the Glasgow (16 June), Coventry (29 June) and London (12 July) 'audience' sessions to make their pitch. The sessions will be open, so if you would like to come and watch the presentations, follow this link, find the session in the daily agenda and book your place. I am confident that all who attend the showcases will be inspired to think differently about how to approach their work - including me. And I want this to be a tribute to the breadth, variety and quality of work that goes on in the Civil Service. As in previous years, CS Live in London will also be the venue for Wednesday Morning Colleagues, the weekly meeting of Permanent Secretaries, where we discuss the major issues of the day affecting HMG. What’s different this year is that, for the first time, we’re inviting civil servants to attend and listen in. This is an opportunity to gain an insight into the workings of senior leadership, which we hope will give you an enhanced understanding of the decision-making process at the highest levels of the Civil Service. Lastly, I will be on the judging panel for the final of the Innovation Challenge on 13 July at the QEII Centre’s Churchill Auditorium. Five Challenge participants who have made their way through the semi-finals held at the earlier CS Live events, will pitch how their projects have successfully harnessed digital and technological innovation for public benefit. The prize for the winning project is a trip to NASA Science Park in California to take part in Singularity University’s Executive Programme. If you want to attend any of these sessions, click here to register for Civil Service Live at the venue of your choice and to book a place at the sessions you’re interested in. If you have already registered, click here, select the appropriate venue, log in, using your email address, and add new sessions to your agenda. There is often talk about "our vision of a brilliant, modern, inclusive and high-performing Civil Service. One that makes the best of its people, gives them the opportunity to develop and progress, whoever they are, and provides world-class public sevices". How can we do this when we insist that staff work in hubs and except on very rare occassions offer excess fares, not to mention many jobs are located in London. We are excluding too many people for who progression will make them worse off. For me, the best way to achieve this would be to have an modern, ongoing, closed, multi-department online forum where improvement suggestions could be discussed by civil servants at all times - not just at periodic in-person meet-ups. If our systems could be integrated through a web front end, and if our customer were issued with a "bank" style card we could transact without the need for phone calls and correspondence, in the way that most businesses operate already, such as Insurance and banking. The system could operate in real time for simple transactions. This would mean a massive saving in terms of resources needed to work in the way that we work today. Customer could change their information in real time and communicate with us through a web front end and also emails or text messages. The technology is out there, we should be using it to deliver a better service to our customers. I hope big, dramatic ideas will be considered. So often, the approach of senior management is to consider why they can't do something rather than why they should. As a result, creativity often gets stifled and any changes that occur are not as transformational as they could have otherwise been.